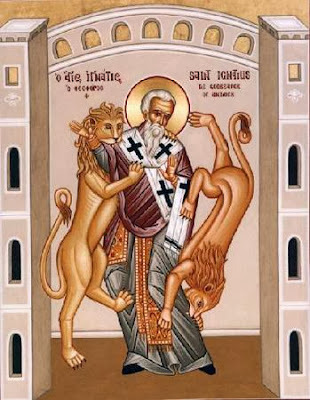 According to an ancient tradition, St. Ignatius of Antioch was the child whom Christ took and presented to the apostles as the example of the one who is greater in the kingdom of heaven. From that day the child, who was most beloved by the Savior and favored with the divine embrace, was also marked as the one upon whom lions would feast in the Roman Colosseum. Turning to a sermon of the gentle Doctor, St. Francis de Sales, we will consider the example of this great bishop and martyr.